The Lindsey Wilson baseball team closed out its home season at Egnew Park with a 9-8 comeback victory over Brescia (Ky.) on Tuesday evening. The Blue Raiders (8-32) were outhit 12-11 by the Bearcats (12-29) but were able to produce a spark late in the game to take home the victory. The Blue Raiders are back in action on Saturday as they close out their 2019 campaign on the road against Mid-South Conference foe Cumberlands (KY) at NoonCT. Article continues... click here to read the whole article, or to share, print, or bookmark it. 2019-04-23 - Columbia, KY - Photo by Laura Marcum. April is Child Abuse Prevention Month. 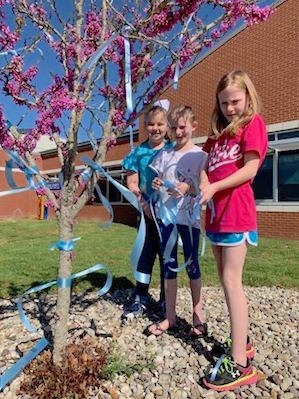 Students from Mrs. Christie Paxton's class decorated the outside of the Adair County Primary Center with blue ribbons to show our support. Pictured: Lillian Murphy, Brandy Holbrook, and Sophia Holbrook helped decorate outside their school. Comments? | Click here to share, print, or bookmark this photo. Edmonton, KY� Kentucky State Police Post 15 assisted the Metcalfe County Sheriffs Department in several joint investigations which led to the Metcalfe County Grand Jury returning sealed indictments. On April 22nd, 2019, units arrested Barbara Brown age 68 of Knob Lick, Jeff Basil age 56 of Edmonton, and Dalton Ennis age 63 of Knob Lick were charged with Trafficking in a controlled substance 1st degree 1st offense > or 2 grams (drug unspecified). Ruby Taylor, age 34 of Columbia and Jeffrey Campbell, age 44 of Columbia were arrested and charged with trafficking in a control substance 1st degree 1st offense > or 2 grams (methamphetamine). All subjects were lodged in the Barren County Detention Center. NOTE: An arrest is not a finding of guilt. An individual placed under arrest is presumed innocent unless and until proven guilty at some later criminal proceeding. Click here to share, print, or bookmark this article. This year's Homeplace festival will be biggest so far. The horse and mule plow teams, antique tractors, artists and crafters, exhibitors and an assortment of family activities will be at Homeplace on Green River for the annual plow day/spring festival this Saturday, April 27, 2019, from 8amCT/9amET until 4pmCT/5pmET. This will be the 9th year for the spring festival at Homeplace. The cost for the day is only $10 per car including occupants. All of the activities are included except purchases from vendors. Homeplace is located on Old Columbia Road (KY Highway 55) between Campbellsville and Columbia at 5807 Columbia Road, Campbellsville, KY. There are signs at the location. For a list of activities, go to homeplacefarmky.org. Mary Ritchey was a lifelong member of the Columbia Christian Church where she taught Sunday School for many years. She had worked at Taylor County RECC, Adair County ASCS and the Payless Deli for many years. She was loved by three generations of young people she taught and baby sat. She was widely known for her friendly personality and her love for other people. Mary Ritchey Lowe Bennett passed away Monday, April 22, 2019 at 11:45 PM at Signature Summit Manor Nursing Home after several months illness. She was 87 years old. Funeral service will be at 11amCT on Thursday, April 25, 2019, at Stotts-Phelps-McQueary Funeral Home, 210 Greensburg St., Columbia, KY, with Bro. Terry White, Bro. Tim Dennis and Bro. Adam Shepherd officiating. Burial will follow in the Columbia Cemetery. Visitation will be after 3pmCT on Wednesday at the funeral home. All events are listed in Central Time. | Print Version | Submit your upcoming event using our Submission Form. Visit the Events Page for details about the events listed above, a printable version of today's events, and for events on upcoming days. Please use our Submission Form to let us know about your organization's upcoming events. 2019-04-23 - Columbia, KY - Photo by Paula Garrison, Coordinator ACPC Family Resources. 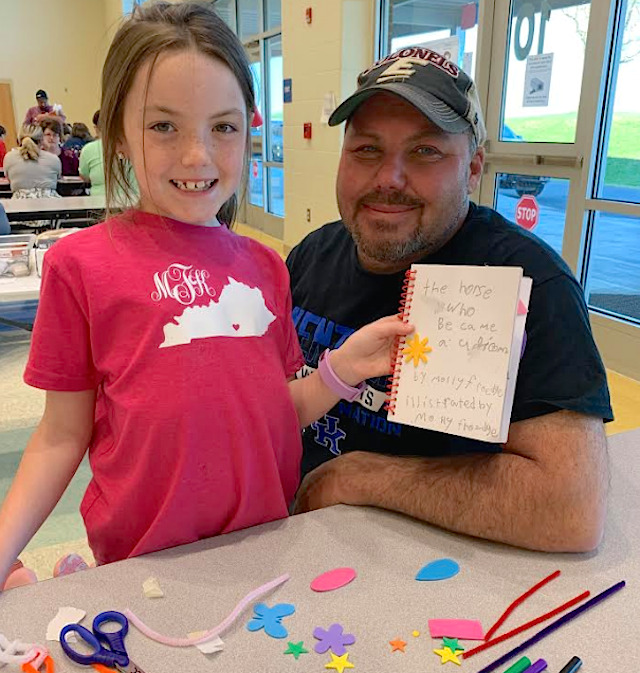 Molly Froedge is pictured with her dad, Frankie Froedge, at Build a Book Parent Involvement Activity that was held on April 16th at Adair County Primary Center. Students were able to create a treasured book with their family. This event was sponsored by Family Resource Center, Title I, and 21st CCLC Camp Casey with assistance from Lindsey Wilson College Education students. The Adair County Sheriff's Office, in conjunction with the Drug Enforcement Agency, will be participating in the Medicine Take Back Program on Saturday, April 27, 2019, from 10amCT until 2pmCT, in the parking lot at Taco Bell, 899 Jamestown Street, Columbia, KY.
Frankfort, KY - - Gov. Matt Bevin today accepted with regret the resignation of Terry Gill, secretary of the Kentucky Cabinet for Economic Development, effective at the end of May. 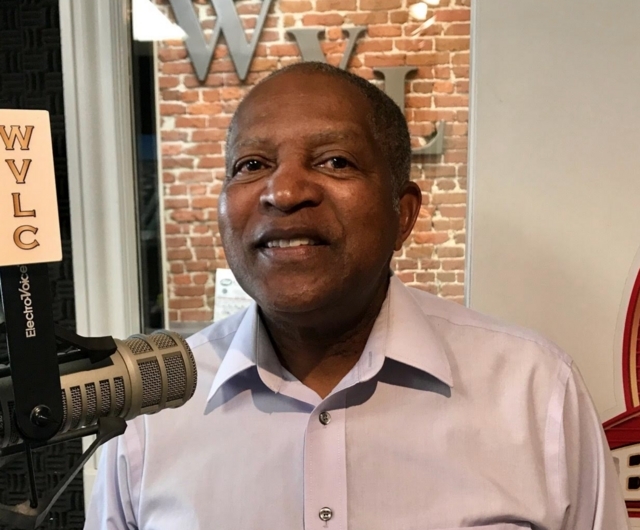 Gill has served as Economic Development Secretary since January 2017. Under his leadership, Kentucky has experienced unprecedented growth, with more than $15.8 billion in new investment announced and nearly 32,400 new jobs, including a state record $8.77 billion in investment secured in 2017. Gill worked to attract four of the largest economic development investment projects in Kentucky history -- Amazon Air, Braidy Industries, Toyota's Reborn project and Nucor Corp.
Edmonton, KY - On Monday, April 22, 2019, at approximately 1pmCT, Trooper Allen Shirley was on a Traffic Safety Checkpoint on Greensburg Road when he made contact with 29 year old Laura Crum of Louisville, KY, who was operating a 2006 Dodge Stratus. Crum appeared to be under the influence. Following standard field sobriety tests performed by Trooper Shirley, a vehicle search was conducted resulting in suspected heroine, marijuana, and several prescription pills being located. 2019-04-23 - Russell Co., KY - Photo by Linda Waggener. 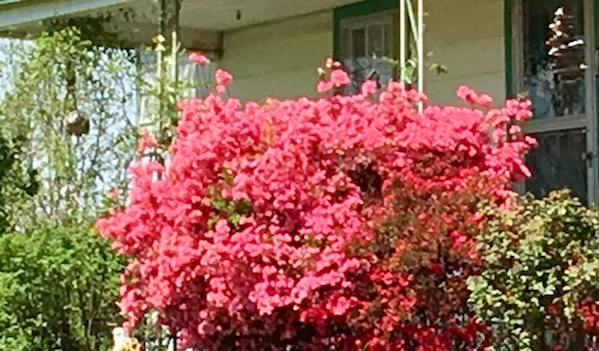 This Azalea was ablaze in the morning sun in Russell County today. Christy Chapel United Methodist Church, 8068 Elkhorn Road, Knifley, KY, will be having a fish fry on Friday, April 26, 2019 from 4-7pmCT. James Tilford Stotts, 82, of Columbia died Sunday, April 21, 2019 at his residence. He chose cremation and wishes to be laid to rest next to his deceased wife, Pauline Burton Stotts at the Forest Lawn Memory Gardens in Greenwood, IN. There will be no local services. 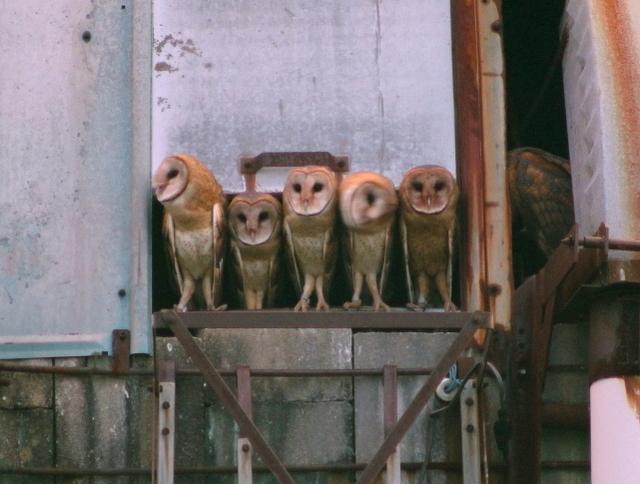 Frankfort, KY - Wildlife biologists with the Kentucky Department of Fish and Wildlife Resources need the public's help in locating barn owl nesting sites to gain a deeper understanding of why the species is rare in the state. Barn owls, with their distinctive heart-shaped faces and dark eyes, were plentiful across Kentucky as late as the 1960s. By 2016, however, there were only about 75 documented nesting locations statewide. 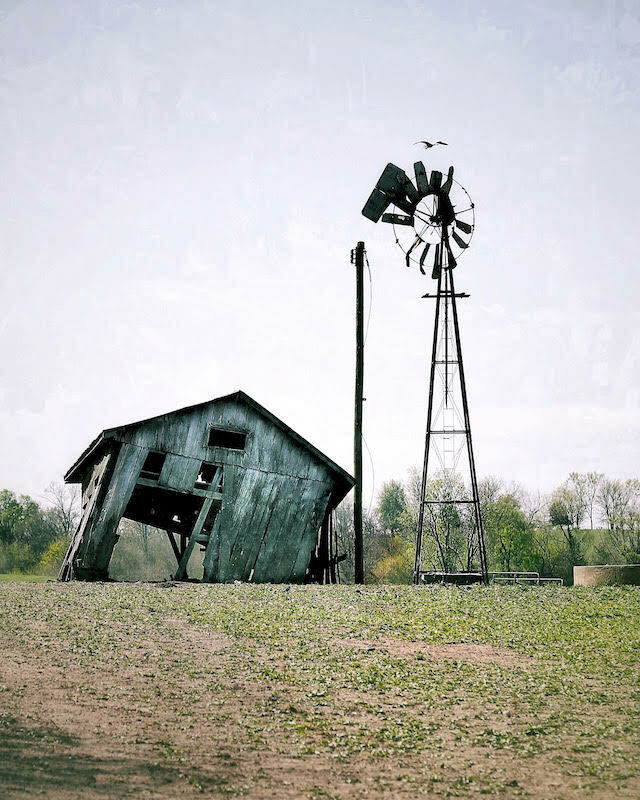 Anyone with information about the location of a barn owl nest or a dead barn owl should contact Wildlife Biologist Kate Slankard at 1-800-858-1549. Observers can also email her at kate.slankard@ky.gov. For the protection of owls and landowners, exact nesting locations and landowner information is strictly confidential and will not be released to the public. Information provided to Kentucky Fish and Wildlife for this study is used for research purposes only. Frankfort, KY - Annual unemployment rates decreased in 117 Kentucky counties in 2018 compared to 2017, rose in Monroe and Owen counties and stayed the same in Metcalfe, according to the Kentucky Center for Statistics (KYSTATS), an agency within the Kentucky Education and Workforce Development Cabinet. The annual jobless rate for Woodford County was the lowest in the Commonwealth in 2018 at 3.1 percent. It was followed by Campbell, Fayette, Oldham and Scott counties, 3.3 percent each; Boone and Kenton counties, 3.4 percent each; Shelby County, 3.5 percent; and Anderson, Jessamine and Spencer counties, 3.6 percent each. 2019-04-23 - Taylor County, KY - Photo by Larry J. Smith, General Manager, The Big Dawg, FM 99.9 radio. Brother Michael Caldwell was a guest of Larry Smith on the Big Dawg radio this morning promoting Plow Days at Home place on Green River this coming Saturday. Just received word that Mary Ritchie Bennett has passed away. She will be remembered as B.B. to a many of the children she had cared for over the years. She was always wearing a smile and her arms open ready to give anyone she knew a hug. She loved her family, church, and friends. Arrangements will be completed soon from Stotts Phelps McQueary Funeral Home, Columbia. Maxine Berry Judd was born December 3, 1935 in Green County, KY to the late Will Berry and Nellie Walker Berry. She departed this life Sunday, April 21, 2019, having attained the age of eighty-three years, four months and eighteen days. A Memorial Service will be conducted 1pmCT Saturday, April 27, 2019 at Foster-Toler-Curry Funeral Home in Greensburg with Rev. Jeff Newton officiating. Burial will be in the Hancock Cemetery in Green County. Visitation will be after 11amCT Saturday until the service. Living by Faith Community Church will be having our annual fundraiser cookout on Friday, April 26, 2019, at the upper end of the IGA parking lot, 900 Jamestown St, Columbia, KY. Menu: Tenderloin on bun, Hamburger or 2 hot dogs, chips, snack cake & drink for $6. Delivery available in city limits or to businesses. Lindsey Wilson baseball drops the final two games of their Mid-South Conference series against Campbellsville University on Monday afternoon. The Blue Raiders (7-32, 2-13 MSC) fell 4-0 in game one and dropped game two 7-0 against the Tigers (27-15, 11-4 MSC) at Egnew Park. Campbellsville outhit Lindsey Wilson 18-5 on the day. The Tigers tallied for seven hits in their first outing and connected for 11 hits during the second matchup. Lindsey Wilson returns to action tomorrow as they host Brescia (KY) for their final home game of the season in a solo nine-inning game slated for 5pmCT at Egnew Park, Lindsey Wilson Sports Complex, 928 Russell Road, Columbia, KY.
2019-04-23 - Frankfort, KY - Photo courtesy Kentucky Department of Fish and Wildlife Resources. Wildlife biologists with the Kentucky Department of Fish and Wildlife Resources need the public's help in locating barn owl nesting sites to gain a deeper understanding of why the species is increasingly rare in the state. Anyone with information about the location of a barn owl nest or a dead barn owl should contact Wildlife Biologist Kate Slankard at 1-800-858-1549. Observers can also email her at kate.slankard@ky.gov. For the protection of owls and landowners, exact nesting locations and landowner information is strictly confidential and will not be released to the public. It's currently 54F at the Adair County Mesonet station. It will be partly sunny today, with a high near 79F. Southwest wind 6 to 13 mph, with gusts as high as 22 mph. There is a possibility of showers and thunderstorms beginning around 5pmCT and a 30% chance of precipitation tonight. It will be mostly cloudy overnight, with a low around 57. Southwest wind around 6 mph becoming calm in the evening. Wednesday brings another chance of showers between 1pmCT and 4pmCT, changing to a chance of showers and thunderstorms after 4pmCT. Mostly cloudy, with a high near 75F. Light and variable wind becoming southwest around 5 mph in the afternoon. Wednesday's chance of precipitation is 30%. Wednesday night will be mostly cloudy with a low around 58F and a continued chance of showers and thunderstorms. Light south wind. Adair County: 144 events Circuit Court. No events District Court. Casey County: 5 events Circuit Court. 10 events District Court. Green County: 4 events Circuit Court. 3 events District Court. Metcalfe County: 23 events Circuit Court. No events District Court. Russell County: 59 events Circuit Court. 4 events District Court. Taylor County: 321 events Circuit Court. 2 events District Court. April is Alcohol Awareness Month, and I would like to invite everyone out to join us in our Alcohol Awareness walk on Friday, April 26, 2019 at 6pmCT. We will be meeting at the annex building and heading out from there. For more information you can contact me or Amanda Jobe at Adanta 270-384-4719. 2019-04-23 - Danville, KY - Photo by Robert Ellis. Gradyville Baptist Church, 159 Old Gradyville Church Rd., Columbia, KY, is welcoming new pastor Bro. Billy Hewitt. Bro. Billy along with wife Brandy and family live in Columbia, and have moved here after pastoring in Casey County for the last 8 years. We are very excited to invite everyone out to worship with us. Catfish, Salisbury Steak, Tenderloin, mashed potatoes, green beans, corn, Great Northern beans, macaroni and tomatoes, hush puppies, peas and carrots, turnip greens, and breaded cauliflower. MENU In the Village of Vester, (Adair County), 5097 Liberty Road, Columbia, KY 42728. Patty Smith Edwards, owner & manager. Phone 270-380-1039 HOURS: Monday - Thursday 5am-5pm. Friday 5am-7pm Fish Friday. Saturday 5am-3pm. Closed Sunday. Liberty Road Grocery & Deli is SMOKE FREE. Baked Beans, Potato Salad, Cole Slaw, Fried Okra. 712 Russell Road, Columbia KY. PHONE: 270-384-3212. Hours: Tuesday through Sunday 7amCT until 9pmCT. Closed Monday. Appetizers & Salads, Combination Dinners, Vegetarian Combinations, Especial of the House Grill, Especial Seafood, Especial Steak, A La Carte Orders, Side Orders, Kids Menu, Desserts and Beverages. Also served everyday: Shoulder, Chicken, Pulled Pork, Pulled Chicken, Ribs, Ribeye, Hamburger, Pork Burger, 1/4 Lb Hotdog, Polish Sausage, Loaded Baked Potato, Nachos, Loaded Nacho; Sides: Mustard Potato Salad, Slaw, Macaroni Salad, Baked Beans, Hawg's Grilled Cabbage, Cheezy Corn and Vinegar Slaw. View all birthdays and anniversaries for this month and next month on our Celebrations Page. Submit your birthday or anniversary using our Contact Form.